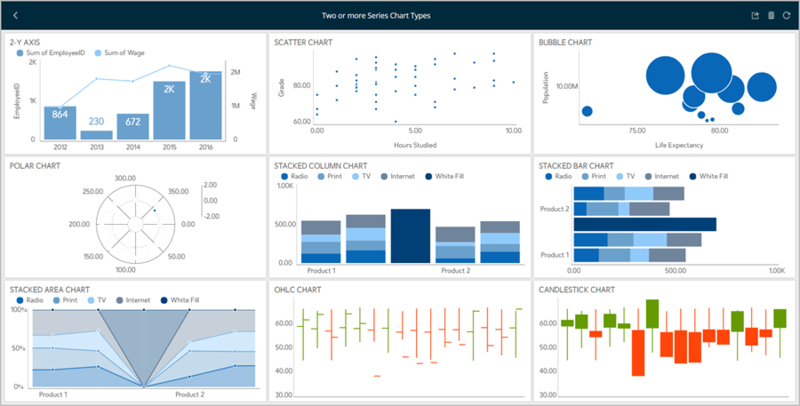 Chart settings enable the display of trend lines, which are lines that are painted across a chart, based on an algorithm. 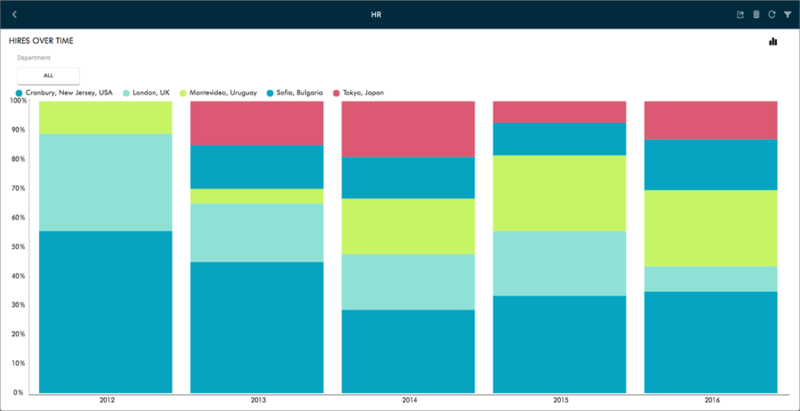 Trendlines are a very simple, yet powerful tool to help you determine trends in data sets, and define thresholds for taking action. The supported algorithms are Linear Fit, Quadratic Fit, Cubic Fit, Quartic Fit, Logarithmic Fit, Exponential Fit, Power Law Fit, Simple Average, Exponential Average, Modified Average, Cumulative Average, Weighted Average. With this feature, the 0-100 default scale is overridden. 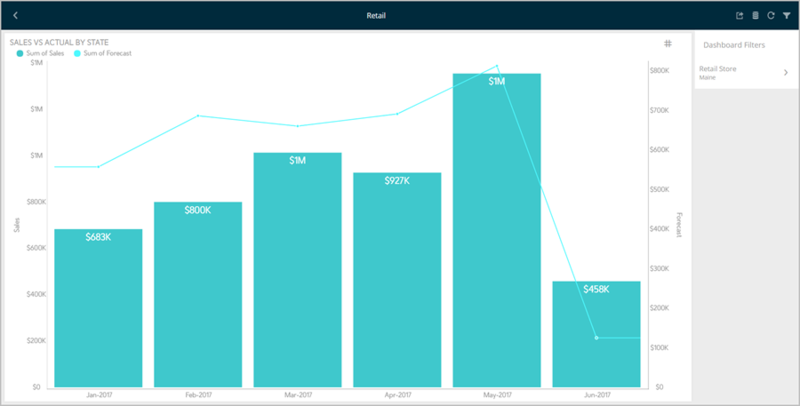 This allows users to visualize the percentage distribution of the values in the chart. 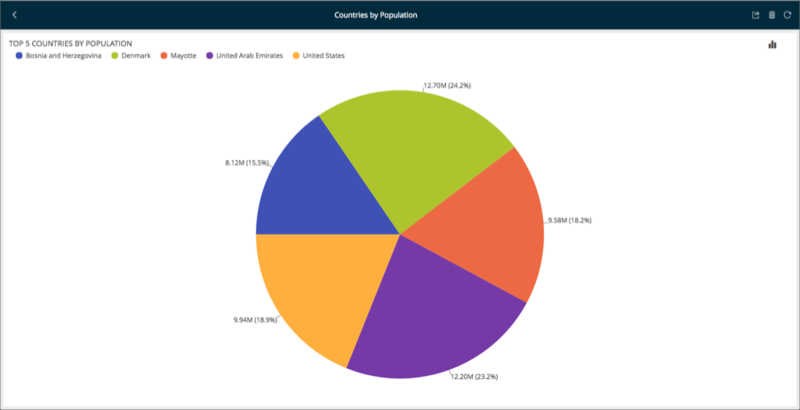 The start position for Pie and Doughnut charts allows users to define one of the four cardinal directions as a starting point for their information. The chart below shows a pie chart with a start position of 270 degrees. 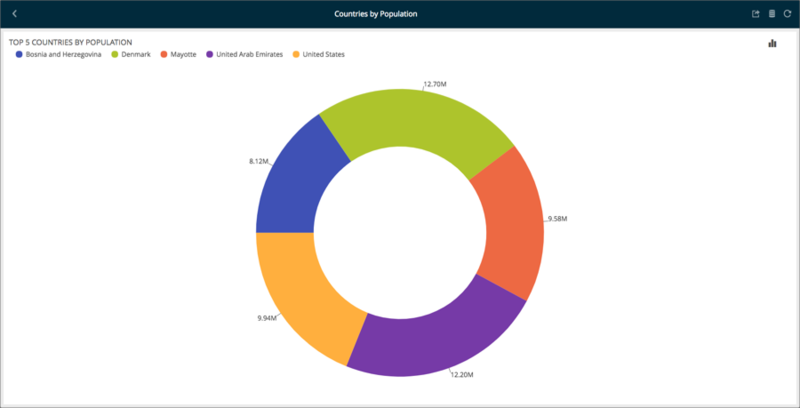 For Funnel, Pie, and Doughnut charts, slices can display values, percentages, or both at the same time.